^ FM 23-10 Basic Field Manual: U.S. Rifle Caliber .30, M1903, 20 September 1943 page 212 Archived 2013年04月18日, at the Wayback Machine. ^ Speer Reloading Manual Number 12, 1994, Blount, Inc., Lewiston, ID. pp. 286-294. ^ Hornady Handbook of Cartridge Reloading, Fourth Edition, 1991, Hornady Manufacturing Company, Grand Island, NE. pp. 343-350. 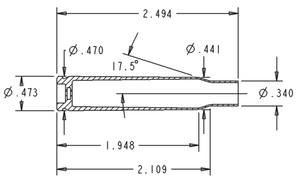 ^ Nosler Reloading Guide Number Four, 1996, Nosler, Inc., Bend OR. pp. 322-329. ^ Barnes Reloading Manual Number 2-Rifle Data, 1997, Barnes Bullets, Inc., American Fork, UT. pp. 381-386. ^ Use of M1909 blanks in M1 rifles.